Fathom Events and Shout! Kids are excited to bring the magic of The Boxcar Children to movie theatres nationwide for a special after-school event on Tuesday, May 8 only! 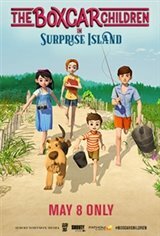 One of the most-read children's book series of all time comes alive on the big screen in the Boxcar Children - Surprise Island based on the second book from the series by Gertrude Chandler, featuring the voice talents of Martin Sheen, J.K. Simmons, Griffin Cluck, Joey King, Dane DeHaan and more! 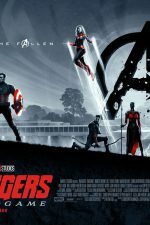 This special event will also feature a special introduction and an exclusive short program with producer/director Dan Chuba about how the adaptation of a book to movie works and the process of animating!